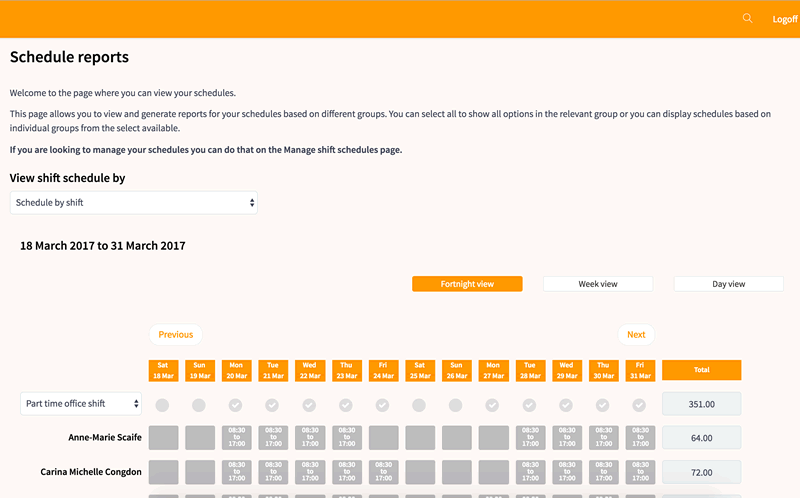 Know who should be where, when with easy to set up and manage scheduling that includes fully configurable alerts, reminders and rules. For Payroll and HR officers. Drop the excel spreadsheets and sticky notes. Make scheduling and shift management simple. Customize shift categories to set maximum work hours and ensure you always have staff scheduled for when you need them. Make scheduling as simple or complex as its needs to be. 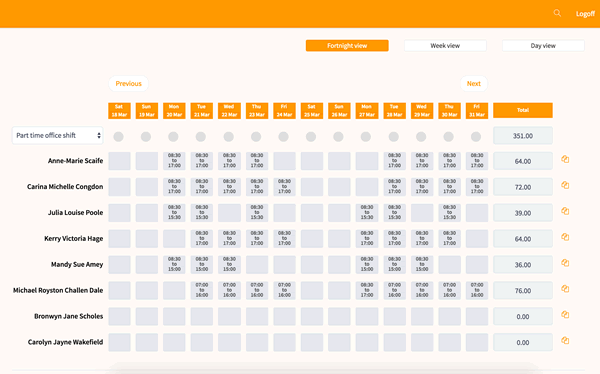 Assign staff to fixed shifts for consistent start, break and end times or mix and match with flexible shifts that allow users to alter their own schedules within the rules you set. Open shifts allow you to set minimum hours without the need for start and end times. Select and personlise your notifications and reminders and even remind staff via SMS. Set minimum staff numbers by shift. Set minimum staff numbers by shift or even location so you are always alerted when leave and other commitments drop your service levels. Always know where your staff are and when they should be working. Get alerted if shift numbers drop below service levels. Alter shifts on the run and have staff automatically notified. View staff with real time reports. Let elementTIME keep track of staff so you don’t have to. Be alerted when staff exceed safe work duration or shift numbers. Set up shift buffer periods to automatically create non-scheduled time slots. Never wonder when you should be working again whether you work one shift or many. View your schedule on any device at any time. Automatically updated with leave, rostered time off and public holidays. Get alerts via SMS or email when your schedule is changed. Scheduling that enables you to work.